Old Lansing Road in front of the club is being resurfaced and will be closed between approximately May 15, 2019 and July 15, 2019. The Eaton County Road Commission states that local access will be maintained but it is not yet clear how that will be implemented. See http://eatoncountyroad.com/projects/old-lansing for more information. LMRC's Lansing Train Show is coming! LMRC custom wood chip hopper kits available, see our store page. ALL ABOARD! 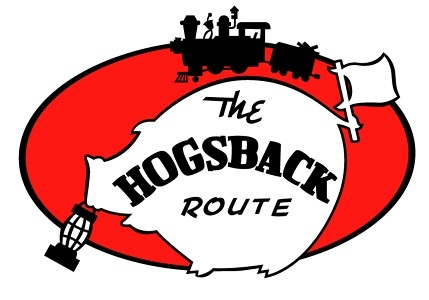 Welcome to the Lansing Model Railroad Club (LMRC) and its Hogsback & Southern Railroad! We are an established HO scale model railroad club and a 501(c)(3) non-profit tax-exempt educational organization. The club is located in the former Grand Trunk Western Millett depot with a long history in Lansing, Michigan. We are dedicated to the preservation of railroad history (past and present) through public education programs including Open Houses, Clinics, Classes, and Train Shows. The club is located at 5309 Old Lansing Road (corner of Millett Hwy.) next to a Delta Township fire station and approximately 1/2 mile east of the Woldumar Nature Center, and is open non-holiday Thursdays from 7 PM to 10 PM. Please do not send mail to this address as we do not have a mail box. Instead please use LMRC, P.O. Box 1305, East Lansing, MI 48826-1305. LMRC's Millett Depot is an accessable facility with a fully paved parking area.